The DVLA are no strangers to digital transformation. They're responsible for 3 of the government's digital exemplars. This means they have been making dramatic changes to how their customers transact. And they've adopted agile project methods to make changes to services. This has altered the structure, dynamics and roles within project delivery teams. One role that has seen many changes is the Business Analyst. Business Analyst is a key role in understanding user needs. 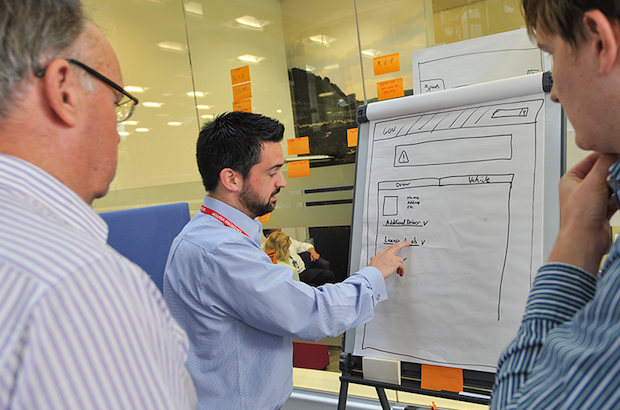 DVLA staff mapped a role profile of the skills required of a modern agile Business Analyst. To do this, they identified the relevant skills from the Digital and Technology Skills Matrix. Traditional IT skills and civil service competencies were also taken into account. Many skills came from the ‘Essentials for digital specialists’ and ‘Agile business analysis’ groups. Other skills came from the ‘User research’ and ‘Performance analysis’ groups. Having a mixture of skills is typical in multidisciplinary teams. An overlap in the skill sets of team members can help individuals understand each other’s roles and work better together. The next step was to look at the skills of existing Business Analysts against the role profile they'd created. Doing this identified areas for further development. Identifying skills from the skills matrix in this way helps build a tailored development plan. This example shows how DVLA built capability in house and responded to the dramatic changes in their digital and technology environment.